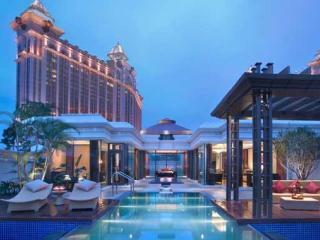 Our suggestions about the most comfortable, trendy and convenient located in Macau. 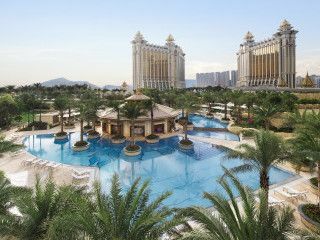 Part of Galaxy Macau, the latest fully integrated development in the dynamic Cotai city, the exclusive resort comprises of 227 suites, including the ultra-exclusive Presidential Suite and 29 villas, where 10 are expansive villas amidst their own gardens complete with a private swimming pool. Banyan Tree Macau is the first high-rise urban resort in Macau to feature private Relaxation Pools in all its spacious suites, and the only luxury hotel with full-sized resort villas. 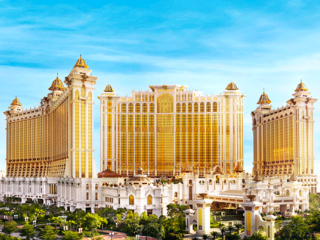 Conrad Macao will be the destination for a new generation of travellers to the famous Cotai Strip, providing one-of-a-kind experiences where business and pleasure seamlessly connect. It will be the luxury hotel of choice where one can truly be oneself, whilst enjoying the adventure, fun and fortune of the Sands Cotai Central. Each room has views over the South China Sea or the historic Guia Fortress. With a range of fine restaurants, fully equipped banquet rooms and meeting facilities The hotel has 15,000 square meters of Resort area. 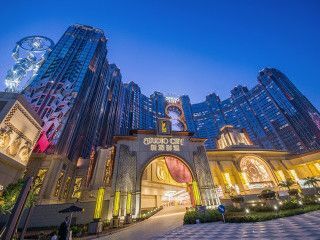 Located on the outer harbor with close to the main commercial, shopping and entertainment district, Grand Lapa Macau is placed just walking distance from the ferry terminal. Studio City luxury Hotel, is Asia’s first leisure resort to integrate television and film production facilities. There is a water park and a casino. The epitome of red carpet hotel service, offering a range of luxury accommodation to suit everyone’s needs. It is possible to purchase an entertainment pass, to experience the attractions and shows like “Batman Dark flight”, “the golden reel” and “The house of dancing water” world’s largest water extravaganza. 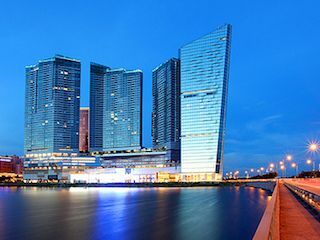 Holiday Inn Macao Cotai Central is located within Sands Cotai Central, the absolute centre of Macao leisure, shopping and entertainment district. The hotels convenient location provides guests with easy access to hundreds of Asias top retail outlets,dozens of restaurants and bars, as well as concert venues, exhibition and conference facilities. With spacious and comfortable rooms, a pool deck and health club, as well as tranquil gardens, the Holiday Inn Macao Cotai Central is the perfect choice for a fun-filled break. Hotel Royal Macau sits on the doorstep of the Guia Fortress, site of the first lighthouse on the Chinese coast. Within walking distance, guests of the hotel will find the ruins of St Paul’s, the Vasco da Gama Monument and many other attractions in Macau’s city centre. 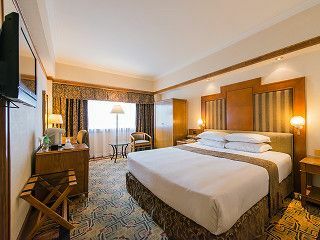 Well equipped with a Fitness Centre, a swimming pool and a choice of 380 spacious guest rooms and suites over 19 floors, and fully equipped to host business meetings and functions accommodating up to 200 people. 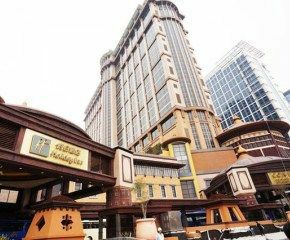 A well located three star hotel owned and managed by STDM (Hotel Lisboa / Grand Lisboa). The lobby is tiny. Rooms have modern in-room facilities. 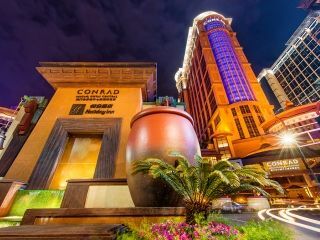 Located in the center of downtown, near one of Macau’s largest shopping mall New Yaohan, 350m from Senado Square (historic centre). This high-end Hotel is privileged not only when it comes to its location but also when it comes to its premier facilities and service. Spectacular views over the sea to Nam Van Lake along with direct access to world famous boutiques and varied entertainment are some of its distinctive features. 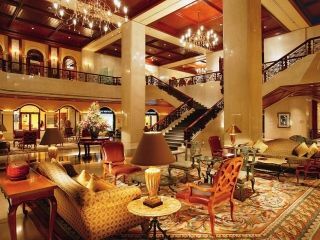 This non-gaming Hotel is also within 0.5 km to World Class Casinos and 1.3 km to Senado Square. 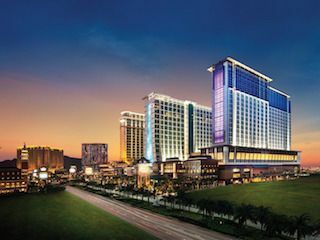 Sheraton Macao Hotel, Cotai Central combines modern facilities and world-class service with an ideal location in the exciting new integrated resort complex of Sands ‘Cotai Central’ right in the heart of Cotai. 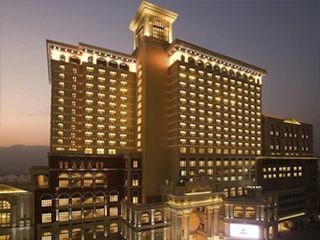 Featuring two towers, Sky and Earth, Sheraton Macao Hotel is the largest hotel in Macau. With well-appointed, modern and inviting guestrooms and suites, it’s also Starwood Hotels & Resorts’ largest hotel worldwide. Built around the remaining façade of Pier 16, the architectural design and the entire development reflect the city’s colonial past, to blend harmoniously with the ambience of the ‘Historic Centre of Macau’. Is has 440-rooms, two restaurants and two bars, swimming pool, a spa and wellness centre. It is perfectly located in the charming historical district, sat along the picturesque waterfront overview Zhuhai, with great access to the city’s tourist attractions including the Ruins of St Paul’s and A-Ma Temple. 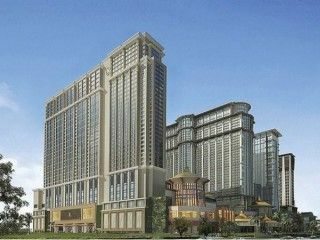 Las Vegas Sands’second resort to open in Macau, combines the glamour of Las Vegas with mystical Asian flair. 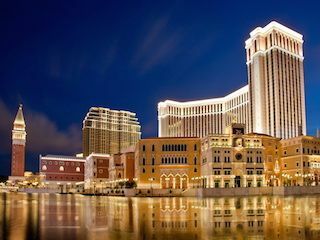 The Venetian Macao includes 3,000 luxury suites in a 32-story tower, creating the beauty of baroque Venice complete with canals, gondolas, singing gondoliers and other legendary Venetian icons. 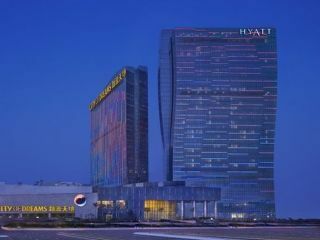 Ii is located on the Cotai Strip, only 5 minutes away from the Macau International Airport. Part of the City of Dreams integrated resort, it features views over Cotai and the west banks of Pearl River. The Grand Deluxe King rooms provide views of Venetian Resorts, mountain or the bay. The banquet room and Mezza9 with open kitchen concept enable guests to interact with chefs for a distinctive dining experience. The meeting rooms are all located in one floor and have tall ceilings. Located in City of Dreams, Taipa, 15 minutes’ drive from Leal Senado Square (historic centre). The all-suite hotel from the Ritz-Carlton located in Cotai’s Galaxy Macau integrated resort has got 236 guest suites, including 3 Villa Suites, it brings elevated luxury amenities. It has been awarded as The Michelin Guide HK Macau 2016 “Luxury” Hotel. 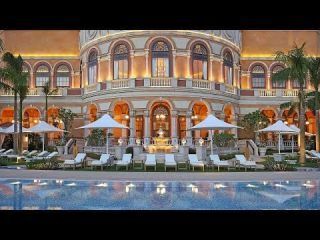 The Ritz-Carlton, Macau, proves no exception enabling guests to revel in the finest personal service and the best of Asian luxury. The 51st floor restaurant highlights the skills of our extraordinary chefs and offers five private dining rooms. 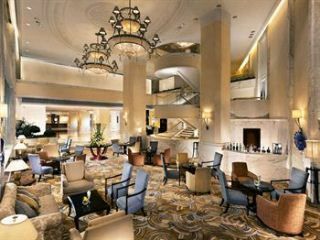 JW Marriott Hotel Macau enjoys a privileged location with instant access to a wide selection of international cuisine and vibrant entertainment. The high quality service and luxury experience makes JW Marriott Hotel Macau being awarded The Michelin Guide HK Macau 2016 “Top Class Comfort” Hotel. It is the Asia’s largest JW Marriott, located in Cotai’s Galaxy Macau integrated resort, JW Marriott Hotel Macau brings its guests an approachable luxury experience having easy access to a host of leisure and entertainment options, including premium shopping, exquisite dining, world-class entertainment events and multi-functional meeting spaces.